I am frequently asked where we found our wooden infant shelves. Our shelves were handmade many years ago and the store no longer stocks them. I have seen similar shelves on Etsy but couldn't find any currently available. Above I have shown some that are similar in dimensions or that would fill the role suitably. I prefer natural timber and always look for local and sustainably sourced timber where possible. But I know price is important too. For an infant's environment I look for single shelves, these are really simple and don't over-complicate the space, will hold the materials the infant needs (not too many) and they can be used for the young child to pull themselves up on to standing. Regarding dimensions, our shelves are 30cm high, 100cm wide and 24cm deep. The Nienhuis Infant Toddler Shelves are 30cm high, 121.5cm wide and 32.5 cms deep. 1. & 3. 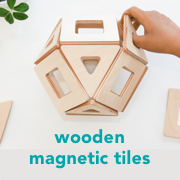 Montessori Outlet (US) - have a couple of options, I really like the open back shelves but they have closed back options too. The open back shelves pictured are currently $139.00 USD. 2. Nienhuis Montessori (US) - perhaps the gold standard. One tier infant/toddler shelves ($196.50 USD). 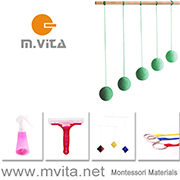 UK at Absorbent Minds Montessori. 4. A2Z Montessori (Australia) - infant/toddler shelves. This option is $210 AUD. In Australia Educational Experience also have some similar (but not quite the same) Toddler Storage Shelves ($154 AUD). 5. IKEA Kallax (worldwide) - perhaps the most affordable option ($44.99 USD). 6. Manine Montessori (Europe) - if I lived closer these are the shelves I would order. Low baby shelf (€118.40). 7. Gonzagarredi - at Juliana Group (US) and Think Education Supplies (Australia) - open cabinet, I would love to see these in person, online they look really cute! ($185 USD or $211 AUD). 8. Budget Modular Option ($32.70 USD) - similar are available from discount or variety stores. 9. ERC 4 Kids (US) - five compartment storage cabinet, these are much larger/taller shelves but would work if left simple, with not too many materials on them. ($157.85 USD). 10. Modern Teaching Aids (Australia) - five compartment storage cabinet ($318.95 AUD). I don't have good quality images but The First Shelf at Micheal Olaf ($215 USD) and the Solid hardwood Shelf at LORD Co ($192.50 USD) also look lovely. All prices are accurate at the time of publication but are subject to change. You can see here how we have used our low shelves over the years!